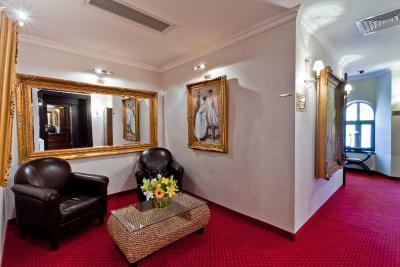 Lock in a great price for Le Boutique Hotel Moxa – rated 8.6 by recent guests! 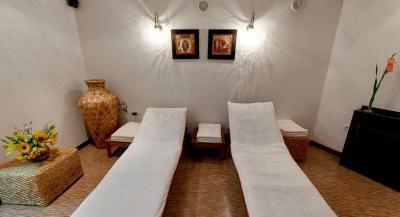 The artwork was nice, the room tasefully decorated, and the bed spacious and comfortable. 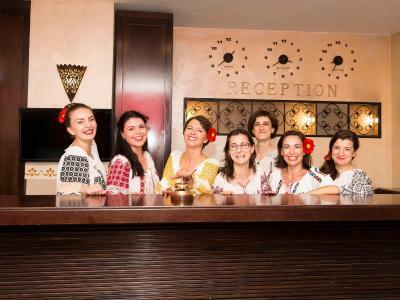 We had to stop one night in Bucharest and Le Boutique Moxa Hotel was the perfect choice for us: First of all, special thanks go to the receptionist. He was a very kind and helpful host although we arrived quite late at night :) . 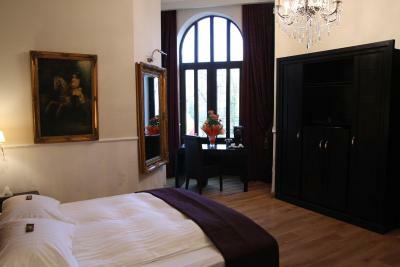 Wonderful rooms, clean and comfortable. Impressive decoration style. In the morning... a smiling, well-mannered and polite housekeeper. Staying at Moxa met all our expectation. 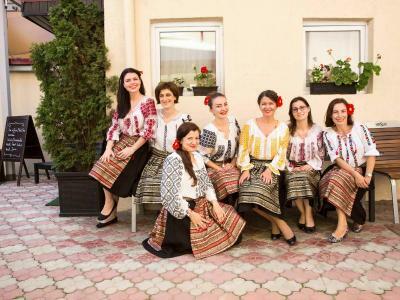 So, we will definitely come back to stay here at our next stop in Bucharest :) . 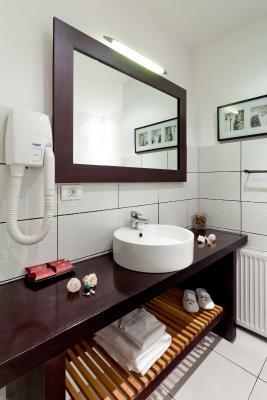 Very kind staff Nice and clean room in a quite position not far from the center, 10 min. walking. Nice toast at the bar! The location is near to the office, the staff was very friendly, the sales manager show me the room and explain me for the facilities. The room was in the nice old building. There was variety of food for breakfast. 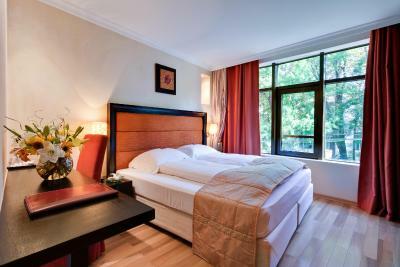 The hotel has an excelent position, in the heart of the city, the newly renovated building is of great value for money, large rooms, sunny during the day and no noise during the night, due to its positioning. 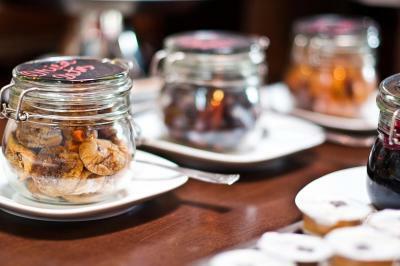 The chef’s recommendations should be taken into consideration, as the food is fresh and is delicious! As always the hotel staff is very accomodating, helpful and polite. 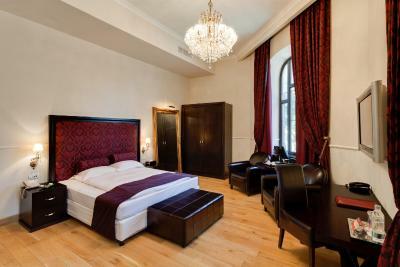 I am warmly recommending this hotel for everybody travelling to Bucharest fir for business or private purposes and wants to feel home, well taken care, in the middle of the city. 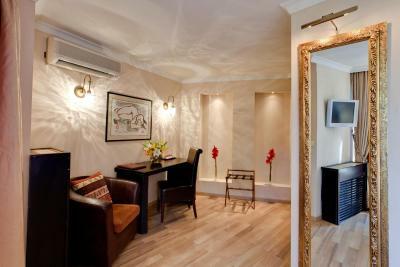 Le Boutique Hotel Moxa This rating is a reflection of how the property compares to the industry standard when it comes to price, facilities and services available. It's based on a self-evaluation by the property. Use this rating to help choose your stay! 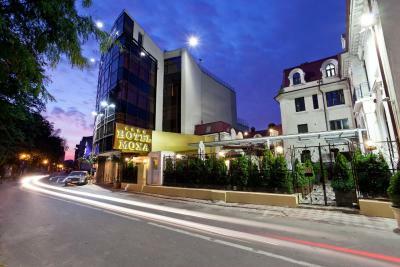 Le Boutique Hotel Moxa is located in the heart of Bucharest, on Calea Victoriei Boulevard, and features a spa center and a lush garden. 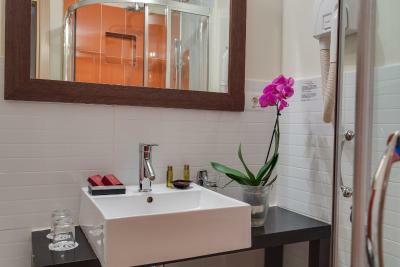 All rooms come with free WiFi and a private bathroom. 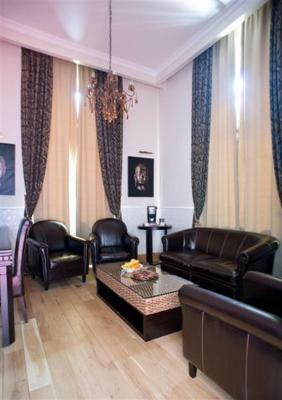 Le Boutique Hotel Moxa offers spacious and stylish rooms, decorated with elegant furniture. 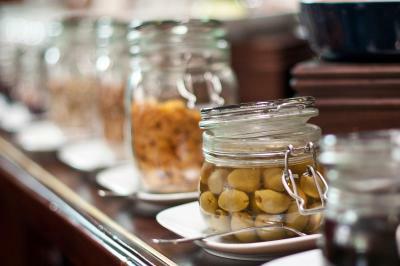 In the elegant lounge, you can enjoy breakfast every morning, and relax in the evening. The nearest shopping center is 1.2 mi away. Yeshoah Tova Synagogue is 2,800 feet away. 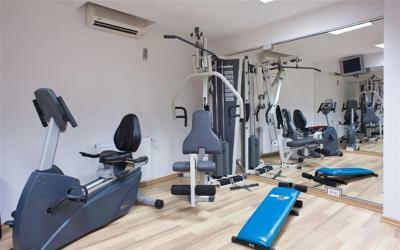 The property is a 20-minute drive away from Henri Coanda International Airport. Victoria Business Center is 0.6 mi from the hotel. 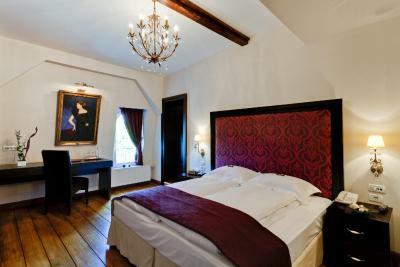 When would you like to stay at Le Boutique Hotel Moxa? 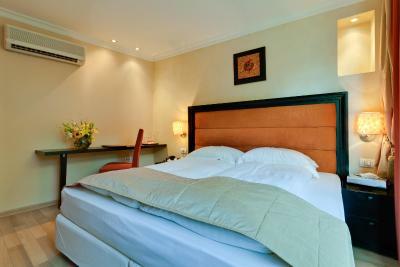 Room with exclusive furniture and pillow top mattresses. 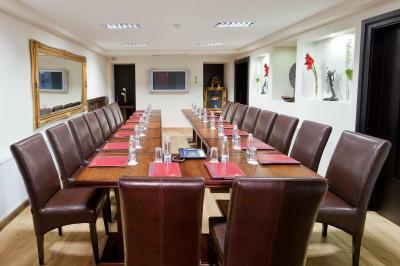 The room also features a seating and working area with a clock radio. 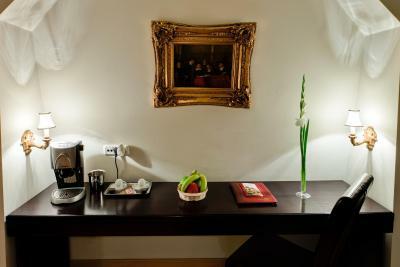 Spacious room with a sitting area, and free high-speed Wi-Fi. 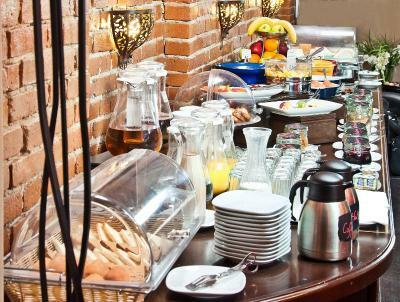 The room is in a private lounge area that comes with newspapers, magazines, and coffee machines. Hotel surroundings – This neighborhood is a great choice for travelers interested in museums, food and architecture – Check location Great location - show map Guests loved walking around the neighborhood! 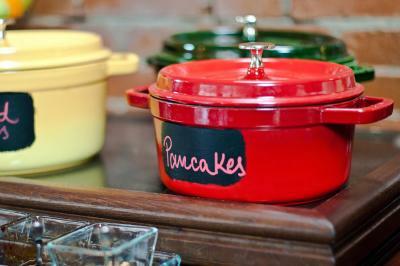 House Rules Le Boutique Hotel Moxa takes special requests – add in the next step! 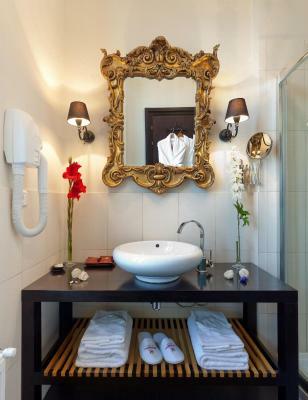 Le Boutique Hotel Moxa accepts these cards and reserves the right to temporarily hold an amount prior to arrival. A little bit small breakfast space... but not so much inconvenience. No warm water in the morning. Stayed on 5th floor. Breakfast was good. Met expectations. 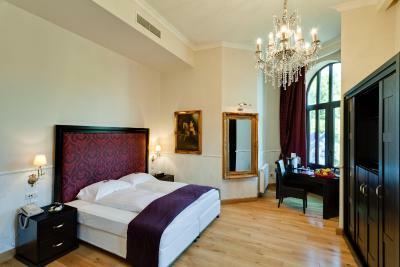 One of the best hotels in Bucharest. 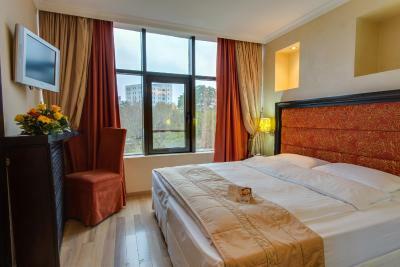 Well equipped room, clean and quiet. The breakfast is tasty and varied. 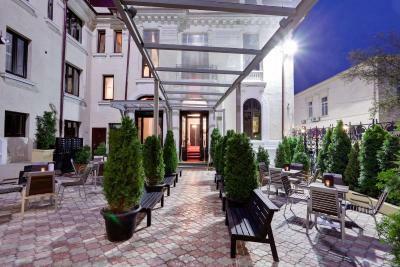 The hotel is close to the city center, but on a quiet street.